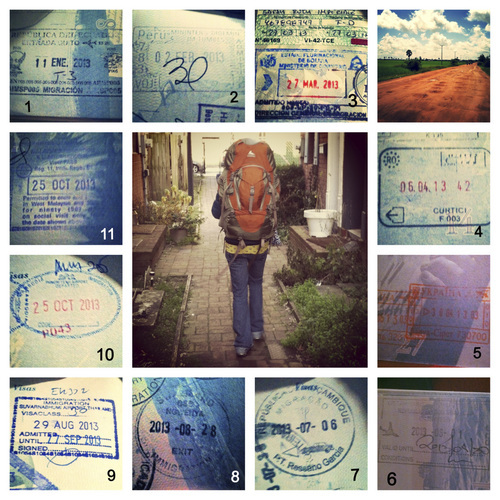 Sarah's journey • Pastor's daughter travels the globe helping to change lives and ends up changing her own as well. | Courtesy Sarah Imperiale Utahn Sarah Imperiale spent 11 months traveling to 10 countries with an interdenominational Christian missions group dedicated to serving "the least of these." She is seen here teaching an English class in Kampong Speu, Cambodia. 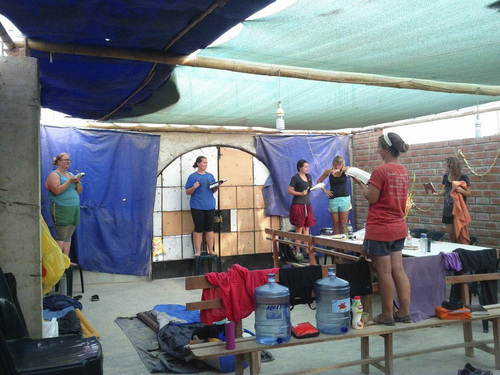 | Courtesy Sarah Imperiale Utahn Sarah Imperiale, seen here with her team in Chincha prayer time in Peru, spent 11 months traveling to 10 countries with an interdenominational Christian missions group dedicated to serving "the least of these." | Courtesy Sarah Imperiale Utahn Sarah Imperiale, seen here in Cape Town, South Africa, spent 11 months traveling to 10 countries with an interdenominational Christian missions group dedicated to serving ìthe least of these.î | Courtesy Sarah Imperiale Utahn Sarah Imperiale, seen here in a contact's house in Biera, Mozambique, spent 11 months traveling to 10 countries with an interdenominational Christian missions group dedicated to serving "the least of these." | Courtesy Sarah Imperiale Utahn Sarah Imperiale, seen here with Nsoko, Swaziland, spent 11 months traveling to 10 countries with an interdenominational Christian missions group dedicated to serving Ïthe least of these.Ó Trent Nelson | The Salt Lake Tribune Sarah Imperiale recently completed a year-long mission as a Presbyterian, working in ten countries around the world. Imperiale was photographed at First Presbyterian Church in Salt Lake City, Wednesday January 15, 2014. Trent Nelson | The Salt Lake Tribune Sarah Imperiale recently completed a year-long mission as a Presbyterian, working in ten countries around the world. Imperiale was photographed at First Presbyterian Church in Salt Lake City, Wednesday January 15, 2014. 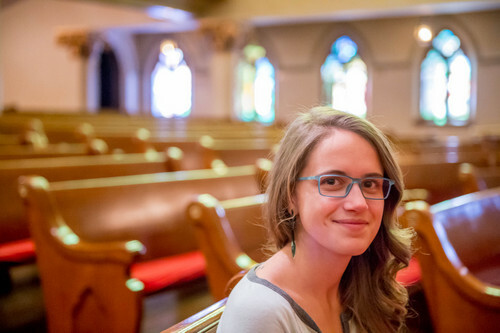 Trent Nelson | The Salt Lake Tribune Sarah Imperiale recently completed a year-long mission as a Presbyterian, working in ten countries around the world. Imperiale was photographed at First Presbyterian Church in Salt Lake City, Wednesday January 15, 2014. | Courtesy Sarah Imperiale Utahn Sarah Imperiale, seen here with Nsoko, Swaziland, spent 11 months traveling to 10 countries with an interdenominational Christian missions group dedicated to serving Ïthe least of these.Ó | Courtesy Sarah Imperiale Utahn Sarah Imperiale, seen here doing laundry in Kampong Speu, Cambodia, spent 11 months traveling to 10 countries with an interdenominational Christian missions group dedicated to serving ìthe least of these.î | Courtesy Sarah Imperiale Utahn Sarah Imperiale spent 11 months traveling to 10 countries with an interdenominational Christian missions group dedicated to serving ìthe least of these.î She is seen here along with 11 of her passport stamps. 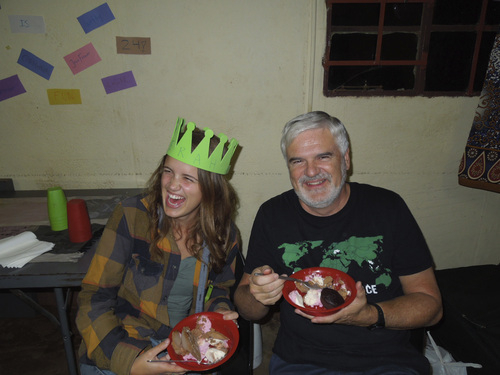 | Courtesy Sarah Imperiale Utahn Sarah Imperiale, seen here with her father in Nsoko, Swaziland, spent 11 months traveling to 10 countries with an interdenominational Christian missions group dedicated to serving "the least of these." Trent Nelson | The Salt Lake Tribune Sarah Imperiale recently completed a year-long mission as a Presbyterian, working in ten countries around the world. Imperiale was photographed at First Presbyterian Church in Salt Lake City, Wednesday January 15, 2014. Trent Nelson | The Salt Lake Tribune Sarah Imperiale recently completed a year-long mission as a Presbyterian, working in ten countries around the world. Imperiale was photographed at First Presbyterian Church in Salt Lake City, Wednesday January 15, 2014. 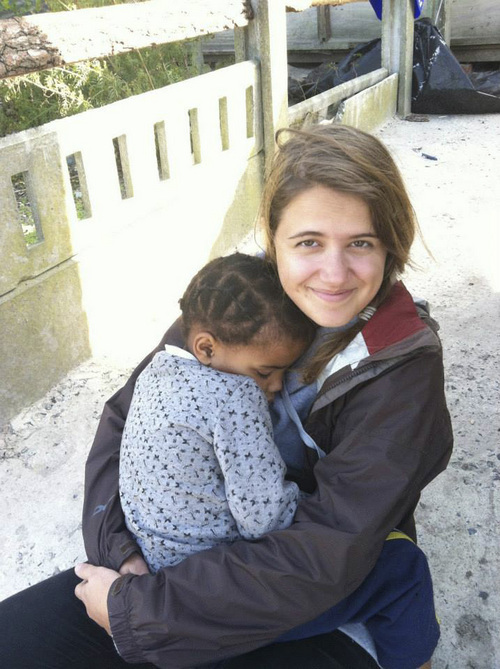 | Courtesy Sarah Imperiale Utahn Sarah Imperiale spent 11 months traveling to 10 countries with an interdenominational Christian missions group dedicated to serving "the least of these." 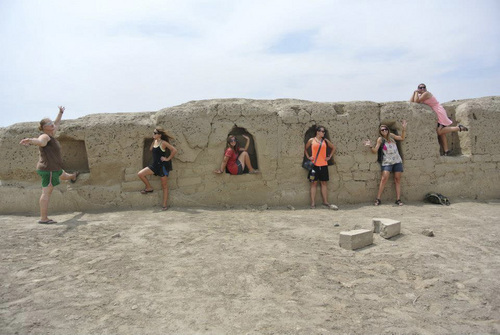 She is seen here with her team (Catherine Rosselli, Meg Reeve, Cassie Wilson, Sarah Riddlebarger, and Emily Halverson) at the Chincha ruins in Chincha Alta, Peru. 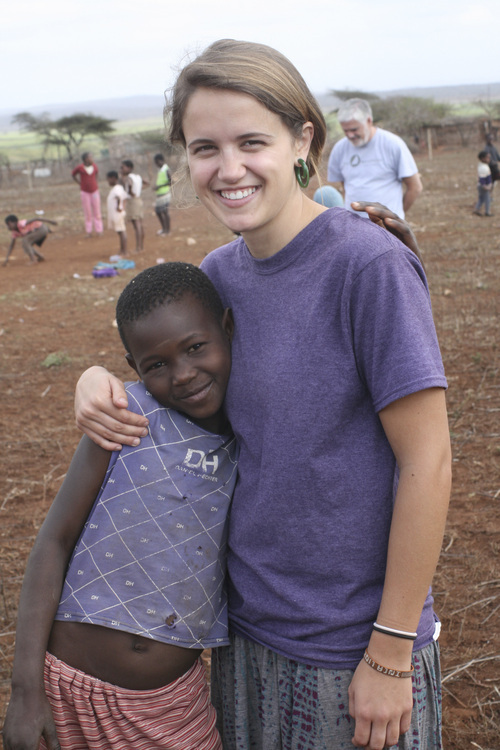 Sarah Imperiale never imagined herself as a Christian missionary. Not unlike other so-called "PKs" (preacher&apos;s kids), Imperiale describes her younger self as being unsettled, a troublemaker and not at all a devoted, churchgoing believer. After earning her associate degree in American Sign Language at Salt Lake Community College in 2012, the graduate wanted to get out of the country, but couldn&apos;t find any program that appealed to her. Then Imperiale discovered The World Race, an interdenominational effort that sends young Christians to 11 countries in 11 months to serve the poor as Jesus commanded. "I talked to my mom about it and gave her every reason why I shouldn&apos;t go," the 24-year-old recalls. "Normally, she sides with me. But this time, [my mother] said, &apos;Would you just shut up and go?&apos; "
Before she knew it, Imperiale had signed up for the trip. Imperiale&apos;s father, the Rev. Mike Imperiale of Salt Lake City&apos;s First Presbyterian Church, was stunned. His daughter had the stamina and compassion for it, Pastor Mike knew, but he was unfamiliar with the organization behind these world travels, so fatherly worries set in. The World Race began in January 2006 as part of an Atlanta-based organization called Adventures in Missions, which has sent more than 100,000 volunteers from various churches and backgrounds all over the globe on missions of varying lengths. The 11-month program is a "raw adventure in faith," organizers write on the website. "It facilitates discipleship through the process of discovering the abundant life [God] promised." The program guarantees that young Americans  it&apos;s open to those between ages 21 and 35  will confront hunger and need as they build partnerships with Christian ministries across the world. "We&apos;re calling you out of your comfort zone," organizers write, "and giving you exposure to what God is doing in the world before you commit to the American dream." Adventures in Missions sponsors six programs, but The World Race is by far the "biggest and most popular," says Suzy Hachey, the group&apos;s sales and recruiting coordinator, who did the race in 2012. Participants are divided into teams of about seven people who live and work together 24 hours a day, seven days a week. They must have "good attitudes, limited emotional baggage and a willingness to change." The experience produces "so much personal growth," says Hachey, as participants "learn to live with others, to deal with conflicts and to overcome cultural and language barriers." All that sounded like a remarkable opportunity for Sarah, says her mother, Dottie Imperiale, but her daughter still had some anxieties. "I think she was scared to death," says the clear-eyed mom, who is a hospice social worker. "She worried about the food, the travel and the pressures of living in such a tight community." In the end, none of those was a problem during the nearly yearlong journey, Dottie Imperiale says. Sarah thrived in the experience and the community. Plus, it lifted the young introvert&apos;s faith to a new level. 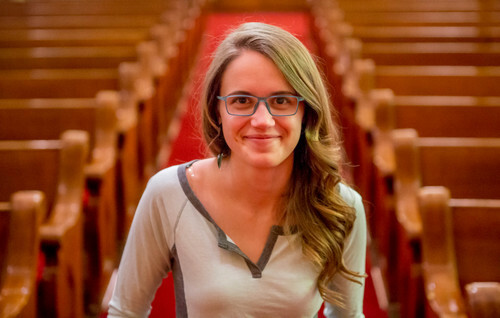 "God became real to Sarah," her mother says, "maybe for the first time." 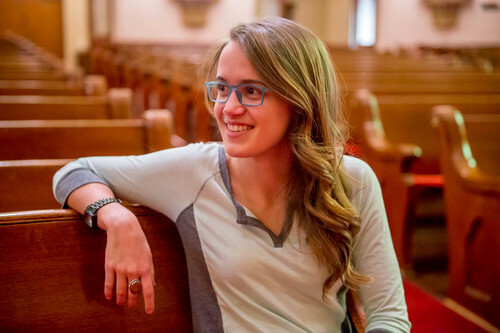 Money and training • The cost for the country-hopping Christian mission is a little more than $15,000, so Sarah Imperiale held fundraisers, sold wristbands and collected generous contributions from family, friends and congregants. The first test? Training camp in Gainesville, Ga., in fall 2012. Young people were divided into teams and then put through exercises designed to prepare them for circumstances they might encounter. One day, for example, they were told that as they were flying from Africa to Thailand, half the missionaries lost their luggage for two days. Each team had to figure out how to share goods so that all members had what they needed  clothes, toothbrushes, other items. The next hypothetical put them on a bus, crossing country lines only to discover a closed border. They would have to bunk on the bus. "It was the most uncomfortable night for me," Imperiale says. "Three or four people sleeping on a single seat and others in the aisle." Every afternoon and evening, religious speakers shared their faith and the group worshipped together. "I was really nervous, didn&apos;t know what I was doing there," she says. "I wondered if I was churchy enough. I do doubt things a lot, ask a lot of hard questions and don&apos;t just take what the Bible says and just do it." Before long, though, she felt comfortable with her own level of religiosity. "They were looking for people who knew Jesus and wanted to show people his love," Imperiale says. "That&apos;s what I am all about." 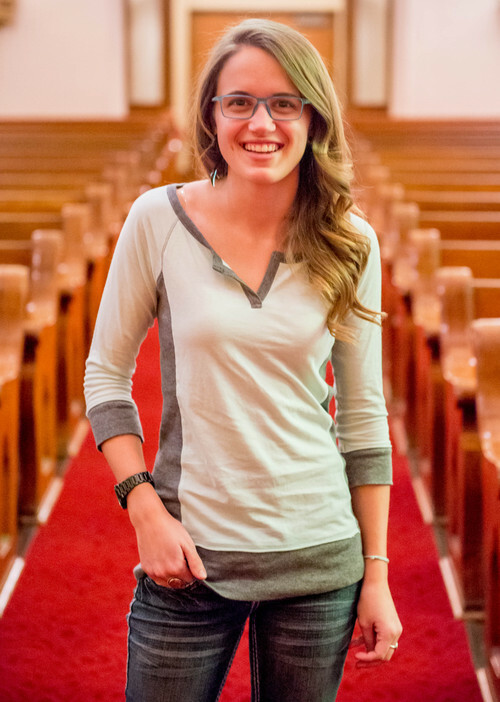 At last, on Jan. 5, 2013, the Utah pastor put his daughter on a plane, and thought, "OK, here we go." First stop: Ecuador, where Sarah and her team lived in a gated oasis, a safe place where kids could come after school to play, listen to stories and make friends. Next up was Peru, where they lived in an orphanage that was being built from the inside out. Imperiale&apos;s group ended up staying there for two months, instead of just one. In April, after a quick stopover in Bolivia, it was on to Romania, where they lived on a campsite, grooming the grounds for summer. "We did a lot of gardening," she says. Month five found them in Ukraine, working in an eyeglass clinic and helping folks get their spectacles. South Africa "was the craziest month," she says. "Two teams  14 girls  lived on a guava farm and did pretty much anything and everything: picked miles of guavas, worked in baby-rescue homes and tended babies ready to be adopted." They also labored in "squatter villages," where anyone can erect a shelter and if it&apos;s there for 24 hours, it can&apos;t be torn down, Imperiale says. Thus, these townships "just grow by themselves for the poorest people in the country." In such places, the young missionaries didn&apos;t try to "fix" the town, she says, just listened to the stories of pain that emerged from them. "We talked to prostitutes working the streets," she says. "It was pretty hard." 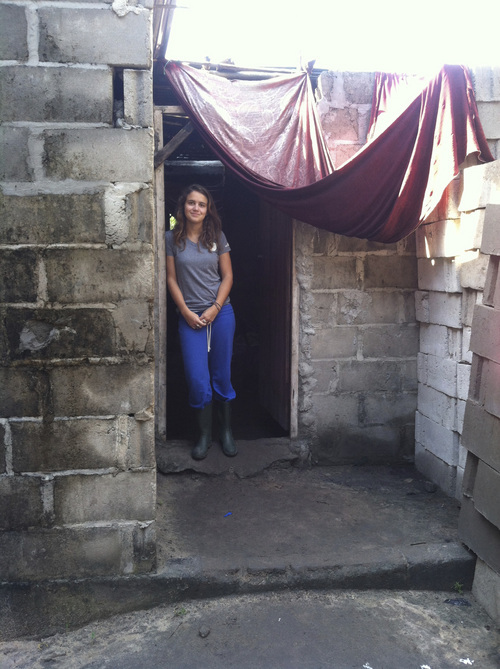 In July, the group headed to Mozambique, where team members lived in tents. It rained constantly. Nothing ever dried. It was freezing. They worked in a village, playing with orphans and praying with widows. Swaziland followed. There, they worked at a care center, providing a meal a day for any child who showed up. Then came Thailand, where they worked on a special project called "Unsung Heroes." "Our job was to find people who are doing the Lord&apos;s work, hear their story and tell it," she says. "If we found someone who needed help or missionaries who needed support, we could tell Adventures in Missions. They would potentially be new contacts." In Cambodia, the team lived amid rice fields, teaching English, and did the same thing the next month in Malaysia. "It was our last month," Imperiale says. "We were exhausted and ready to go home. It was a good time to talk to each other." She landed in Salt Lake City on Dec. 15, into the loving arms of her parents. Purposes and priorities • The goal of The World Race, organizers say, is to bring God&apos;s love to people of all these countries by opening minds and hearts. "Ultimately, people will change and, once people change, they can change the world," says Adventures spokeswoman Hachey. "The World Race has become a great catalyst for that." It sure had an effect on the Utah traveler. "Sarah&apos;s Christian upbringing was challenged and nurtured," says Pastor Mike. "She had a wonderful, stretching experience in terms of what faith is. She gained not just knowledge about God, but God became a living breathing part of our life." She witnessed dire poverty, dicey weather, difficult relationships, hunger and deprivations of every kind, her father says, and could not help but be affected by it. "She&apos;s matured," he says. "Her eyes have been opened, and she will forever notice people around her who are in need." Her mother adds, "Sarah had to became honest with herself for the first time, too, having to count on other people." It was hard for her daughter "to depend on others," says Dottie Imperiale, "but becoming transparent made her a more confident young woman." The missionary recognizes these changes in herself. "My heart has been shifted to making my everyday life my ministry," Imperiale says. 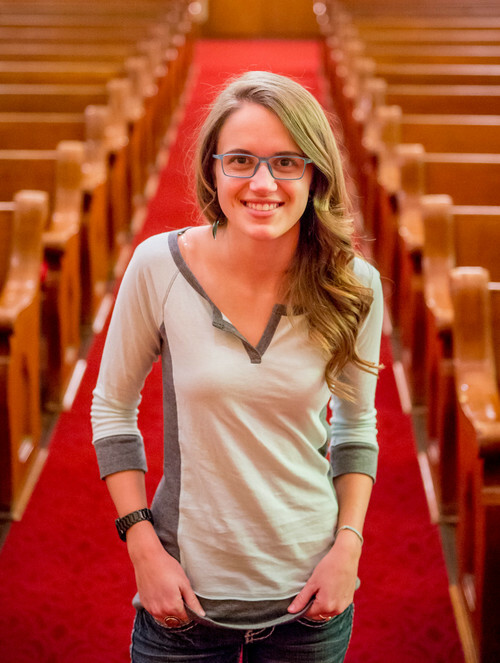 "God put a desire in my heart to take what I am passionate about and make it my life&apos;s work." Will it be overtly religious? Not necessarily, she says. "It is not my job to convince people to change. I can just talk about how my heart&apos;s changed." God, she says, will do the rest.